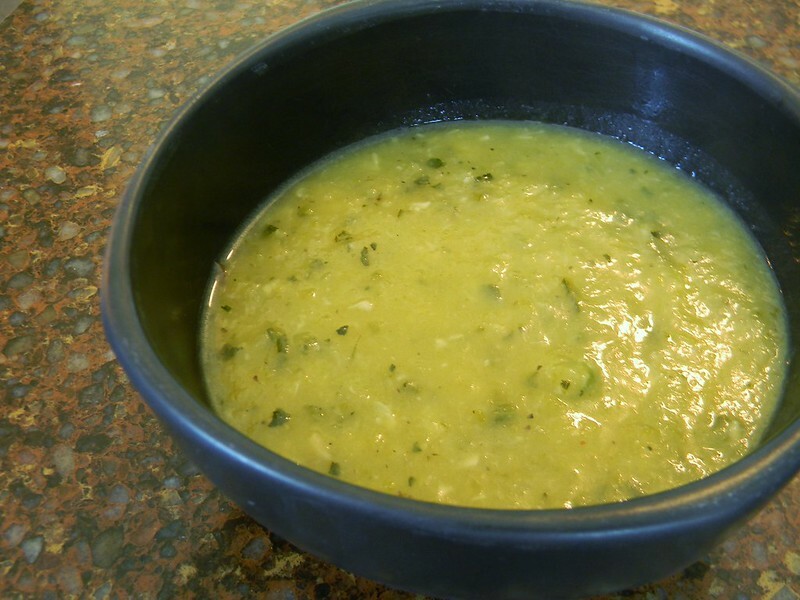 Garlic and Zucchini Soup | What Smells So Good? In a large, heavy pot, warm the oil over medium heat. Add the onions and cook on medium-low heat for about 5 minutes, until soft. Add garlic and cook 5 minutes longer - don’t brown the garlic, just cook to soften. Add the zucchini and cook, stirring occasionally, until beginning to tenderize. Pour in the wine and stir to incorporate, then add the broth and bring to a simmer. Reduce the heat and simmer, uncovered, 45 minutes. Puree smooth using either an immersion blender or in batches with a regular blender to puree. Stir in ginger, pepper and salt. This soup is better after a night in the refrigerator, and freezes well too - make tons in season for Winter noshing!